Skaters at Coachlite show off their moves. Monday nights aren’t typically time for fun, but on a recent Monday around 8 p.m., if you strolled by 701 N. 18th Street in downtown St. Louis, you would think there was a party going on. You can hear the music playing from the street, along with the energetic commentary from the DJ letting the crowd know what a great time they will be having tonight. 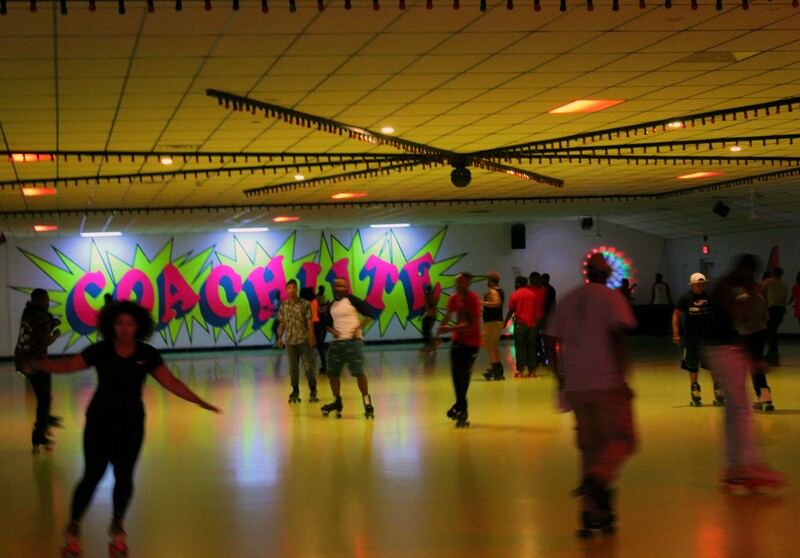 Every Monday, dozens of roller skaters gather here at the historical wood-grained-floor gymnasium under neon flashing lights in order to, as Vaughan Mason & Crew would say, “Bounce, Rock, Skate, Roll." With towels in hand, some make variations of dips and glides that fill the floor, while others congregate in a circle to show off their fanciest footwork. 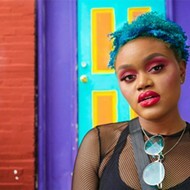 This unlikely spot where downtown meets north city and religion meets good old-fashioned funk isn’t the only place where roller-skating continues to captivate St. Louisans. In addition to St. Nick’s, two popular rinks, Coachlite and Skate King, draw crowds of skaters showing off their moves. Some have fond memories of growing up in these rinks, while others are making new ones by lacing up their first pair of skates. Veterans share skills honed over years of practice, while the young watch in amazement and awe. Among the skating community that frequents St. Nick’s for its Monday night sessions is Chad Ha, a 34-year-old entrepreneur. 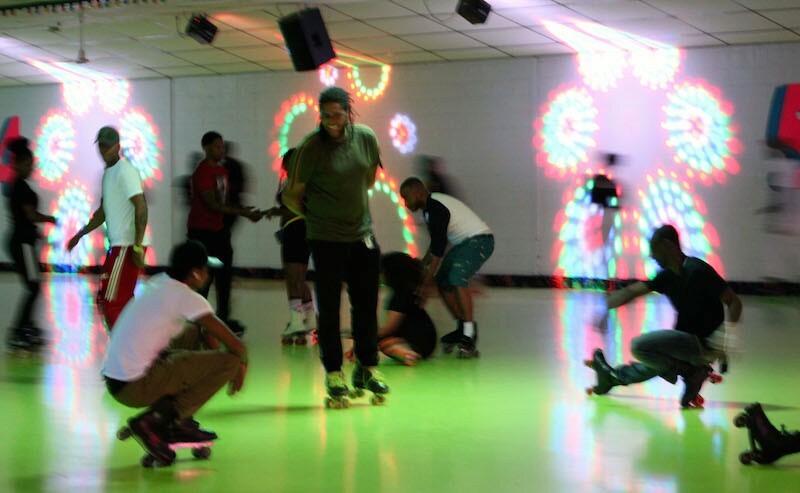 A St. Louis native, Ha grew up in the Walnut Park area and laced up his first pair of skates at age six, at a birthday party his mother took him to. He took it from there, mimicking the moves he saw from other skaters — and got good enough that a video someone took of him performing at Skate King garnered 7,000 views online. That proved the inspiration for SkateLyfe Co., the organization he founded to increase participation in skating. 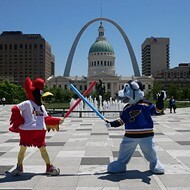 Under that brand, Ha has hosted several events around the St. Louis area, most of them outdoors (including a few downtown at Kiener Plaza). Overall, St. Louis is known for its smooth style of skating. But each of the rinks has a feel of its own. Skate King is urban, with an old-school feel. St. Nick's is classic. Coachlite Skate Center, which is a bit more suburban thanks to its location, has a mood that's upbeat and bouncy. “Adults that grew up skating — skating was really big in the 70’s and 80’s, and now they are adults — they want to bring back the memories of skating,” explains Coachlite manager Gene Fridblom. Fridblom notes that his rink tends to be busier in the fall and the winter, but the diehards are always out. One those, Darryl Poindexter, is the current president of the skating club S.W.A.T., which stands for Skaters With Amazing Talent. 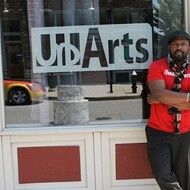 The group, which began thirteen years ago, has members spread across St. Louis. “It was a small group, about only five people, and it kind of grew from there,” Poindexter explains. Now not only do they hit all the various rinks in the city, but they also visit other cities to learn and compete. 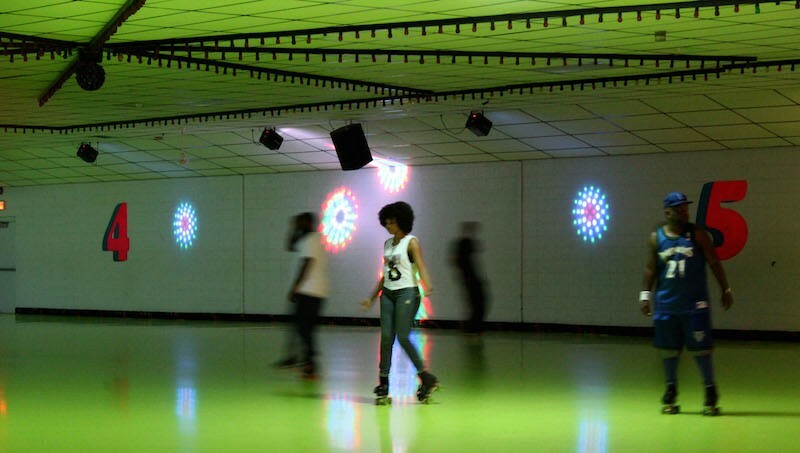 Skate King derives its name from its founder’s admiration for Dr. Martin Luther King Jr. (Foggy Jr. originally contemplated naming it the Dr. Martin Luther King Memorial Skating Center, his daughter says, but he didn’t want to commercialize the civil rights leader’s name.) Located in Pine Lawn, the rink has been in business for 48 years, opening two years after the East St. Louis location in 1972. Since then the center continues to thrive by hosting events to give back to the community such as Skate for a Cure, Rolling for BackStoppers and Skills on Wheels.